Note from director/founder Luis Salgado: Each year we strive for a revolution of evolution that inspires and empowers through the Arts. In the last two years our Dance-A-Thon has provided us with new economic strategies that support our growth and outreach. 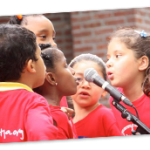 After seven years of committed work we continue to expand beyond NYC through engaging collaborations to Spain, The Dominican Republic, Brazil, Mexico, Argentina, Puerto Rico and cities throughout the U.S.
Take a look at our 2014! 7 years providing training to over 700 artists in NYC and Latin America. This year BWS had an interdisciplinary format with classes in dance, voice and acting. 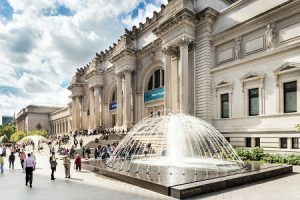 A total of 37 young artists made up the class of 2014, 25 from NYC and 13 international participants from Colombia, Peru, Argentina, Mexico and Brazil. Watch video HERE. Watch our Exclusive Screening of the 2013 Beyond Workshop Series Documentary directed and edited by Elias Avalos. Kids Beyond Broadway. This year we were able to provide tickets to students and volunteers to see ROCKY Broadway, The National Ballet of Canada’s Alice and Wonderland at The Joyce Theater, El Apagón/Blackout at Pregones/Puerto Rican Traveling Theatre and movie premiers of “Mr. Peabody & Sherman” and “Million Dollar Arm”. RL’s circle effect brought a revolution to the United Nations. Broadway performers combined with RL artists, BWS students and D2GB campers performed an original medley, for world leaders and dignitaries who believe that art can make a huge impact on children around the world. This was the first time that a live performance took place during the Commission on Population and Development at the United Nations in NYC. Watch video HERE. Our D2GB Children’s Performing Arts Camp focused on 5 selected shows that inspired, empowered and educated over 180 campers ages 7-17. Performers from the following productions, In The Heights, Aladdin, Motown, Beautiful and ROCKY Broadway came to share the messages from each show. Touching on the topics of home, inner beauty and culture in music, dreams coming true and fighting from the heart. Watch video from last day at camp HERE. D2GB School Arts Program. Teachers and schools reached out to RL for art classes this year. 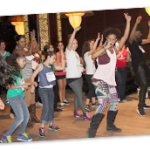 RL leaders and volunteers taught dance and music to children in the Bronx and Queens. We made a special visit to P.S 188 on the Lower East Side, a school that serves children from homeless shelters, bringing them the folkloric drumming and dancing of Bomba. Outside the states we visited an elementary school in Florida, Puerto Rico and a free arts program for underserved children in Loiza Puerto Rico. Media & Videos. 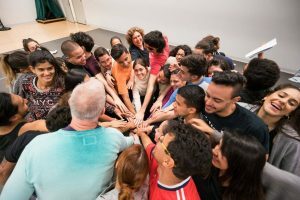 We created our “Going Beyond” video series, sharing stories of Latino artists and leaders such as Quiara Alegria Hudes (Pulitzer prize winning playwright), Luis Miranda (founder and former president of the Hispanic Federation and the new chairman of Viva Broadway) to name a few. 12 videos were added to R.Evolución Latina’s YouTube channel to continue educating our audience about our educational programs, events and collaborations. Visit our YouTube Channel. 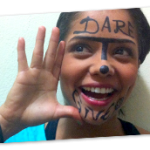 Dare 2 Give helped us reach $15,851. 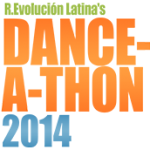 RL’s 2nd Annual Dance-A-Thon 2014 helped us raise $25,552. Go Beyond while Producing In The Heights. We are reaching out to schools and regional productions of In The Heights, to go beyond the stage and help us fundraise to provide opportunities for our community to experience the power of the performing arts. Click here to learn more. Download our 2014 Annual Report and the Financial Statement for a complete list of events, facts and impact of our mission around the world.